Sales of General Motors vehicles and those of its joint venture partners in China totaled 319,936 units in September 2014, an increase of 15.2 percent compared to September 2013 sales . The results represent an all-time high for the month of September and the second-best month of 2014 for GM China as a whole. In addition, Shanghai GM and SAIC-GM-Wuling posted record September domestic sales results. 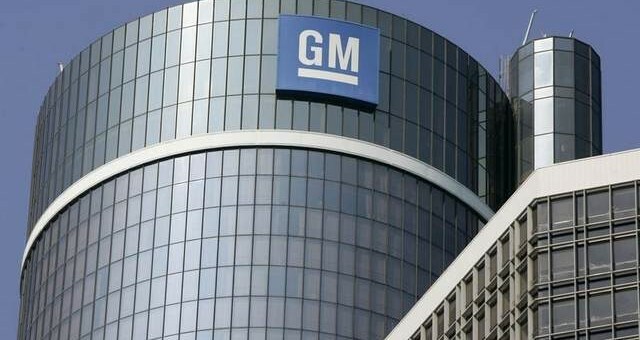 Shanghai GM, The General’s primary Chinese joint venture that handles sales of Chevy, Buick, and Cadillac vehicles, sold 158,906 units — an increase of 19.6 percent on a year-over-year basis. Of the 158,906 units sold by Shanghai GM, Buick sales totaled 83,638 units — up 17.8 percent. Sales of the original Excelle family rose 9.9 percent to 29,549 units and sales of the Excelle XT and GT rose 10.1 percent to 21,636 units. In addition, sales of the Regal and Encore totaled 10,491 units and 6,988 units, respectively. Chevy sales grew 19.3 percent to 68,347 unit. At 24,256 units sold, the Cruze remained the brand’s top-selling model, with excitement around the nameplate being spurred thanks to the launch of the all-new D2Xx-based model. The Cruze was followed by the Sail, which recorded sales of 19,825 units. In addition, sales of the Malibu rose 34.0 percent to a September record 11,812 units. Cadillac sales grew 51.4 percent to 6,807 units. The best-sellers remained the XTS, at 2,971 units, and the SRX, which delivered 2,556 units. SAIC-GM-Wuling’s sales increased 14.5 percent to 159,906 units in China. Domestic Wuling sales totaled 135,128 units in September, up 4.2 percent year-over-year, with sales of the Hong Guang family growing 18.4 percent to 60,652 units. Baojun sales jumped 147.1 percent to 24,778 units, with the Baojun 730 MPV moving 21,016 units in its second month on the market. FAW-GM sales dropped 73.8 percent to 1,238 vehicles. When will the ATS goes on sale?